Bop Bags Giant Shapes and Balloons for Eley Kishimoto! One of Jenny's latest projects was to design and manufacture inflatables for a party at House of Vans. 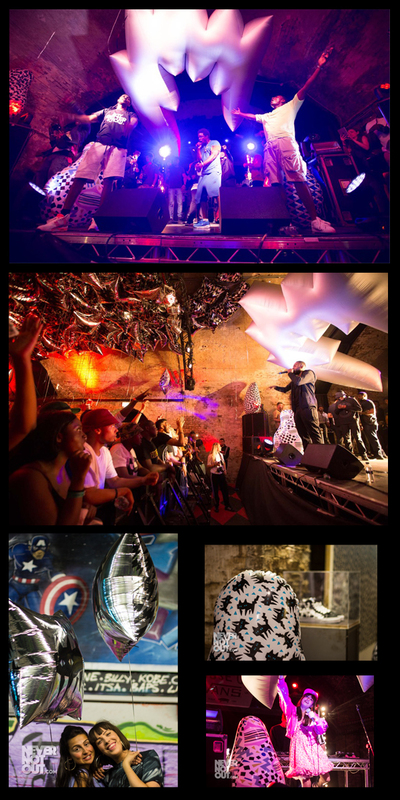 It was a huge success with our giant 'Flash' shape as a centre piece, a ceiling full of 1000 80cm square foil balloons and various printed inflatable bop bags placed around the venue, it looked really spectacular! We hope to do much more work with the brand and House of Vans!